Mr. Matthew M. Coman comes to Sher Garner from the United States Attorney's Office for the Eastern District of Louisiana where he served for more than 14 years. Mr. Coman concentrates his practice in the areas of commercial litigation, white collar criminal defense, environmental litigation, environmental compliance, and internal corporate compliance investigations. While a federal prosecutor, Mr. Coman prosecuted 28 jury trials with a 100% conviction rate as to all defendants. 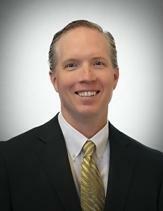 In total, Mr. Coman has 19 years of experience and 158 jury trials as a trial lawyer. His body of work as a trial attorney has garnered him several national and local awards in recognition of his outstanding accomplishments. In addition to his litigation practice at the Department of Justice, Mr. Coman served as the Deputy Chief of the Criminal Division where he supervised all white collar investigations and prosecutions of the office. Notably, Mr. Coman was lead counsel in United States v. C. Ray Nagin. In that nationally significant case, Mr. Coman prosecuted the former Mayor of the City of New Orleans for bribery, honest services wire fraud, conspiracy, money laundering, and tax violations. Following a three-week jury trial, Nagin was convicted on 20 of 21 felony counts and subsequently sentenced to 10 years imprisonment. Most recently, Mr. Coman won the largest fine for a felony Clean Water Act violation in the district when he obtained a $3.1 million fine against Xplor Energy, a subsidiary of HKN, Inc., for the discharge of produced water on an oil and gas production platform in Plaquemines Parish, Louisiana. In addition to his trial practice, Mr. Coman briefed and argued multiple matters before the United States Court of Appeals for the Fifth Circuit where he was successful in each case. In connection with his litigation body of work, Mr. Coman has spearheaded hundreds of investigations, providing him with the knowledge and skill to single-handedly conduct internal investigations and corporate compliance programs. Such internal investigations can help corporate clients avoid the many pitfalls which arise in complex and sensitive matters. Mr. Coman also provides preventative and litigation services for businesses and individuals in regulatory and enforcement actions. Importantly, he defends regulatory and enforcement matters to include anti-kickback actions, Foreign Corrupt Practices Act (FCPA) and False Claims Act (FCA) matters, federal tax matters, banking issues (foreign and domestic), export controls, money laundering, and environmental enforcement and compliance (criminal, civil, and regulatory actions covering a wide range of federal statutes). Mr. Coman presently is admitted to the Louisiana Bar and is admitted to practice before all United States District Courts in Louisiana as well as the United States Fifth Circuit Court of Appeals.